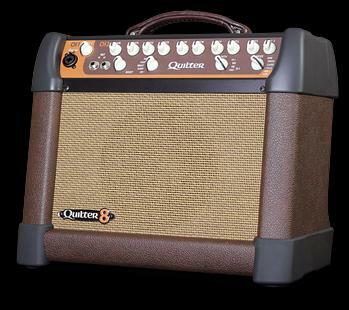 You are looking at the new Quilter MicroPro 200 Guitar Amplifier new on the market this year 2012. I was able to achieve a great sounding mix of both guitarists in the band using the Quilter amps to compliment their specific styles. By using the XLR direct outputs on the back of each amp, there were no microphones required to get the guitar sound to the mixing console. It made job as sound tech much easier for the gig. This amp is a big sounding unit in a small package. The amp has a weight of 19 lbs. which makes it easy to transport it from gig to gig without any effort. Go to the company website and find the page with the sound clips on it to listen to this excellent guitar amp! The particular 900N is really a high performance strength amplifier regarding well balanced or even out of balance stereo audio sound impulses. Sometimes insight can easily supply any speaker end result connected with 8.4 watts RMS strength every channel in to a some Ohm insert.